For tips on living a long and healthy life, it is natural to observe the lifestyle of people known for their longevity. The Japanese have some of the longest life spans in the world, and their diet can be credited for playing a big part in this. Rhode Island elderly care staff discuss 4 reasons seniors should adopt the Japanese diet. 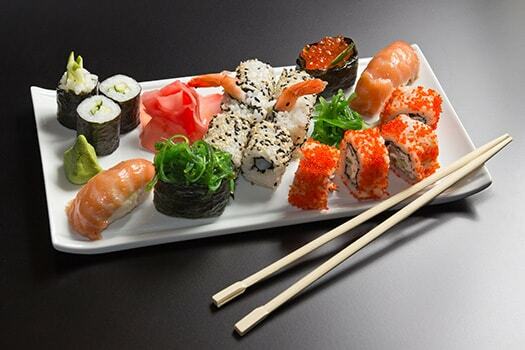 The Japanese tend to eat small amounts of food, though each portion of the meal is loaded with nutrition. To encourage moderation, Japanese meals are served on smaller plates and in tinier bowls compared to what Americans are used to. The smaller crockery can make it look like your senior loved one is eating more when he or she may be consuming the ideal portion. Seniors sometimes find it challenging to prepare meals due to medical conditions such as arthritis or chronic fatigue syndrome. Japanese cooking is simple and easy. For example, a plate of fruit is usually served in lieu of dessert, and vegetables are often steamed instead of fried and require minimal chopping. This allows your loved one to enjoy an array of healthy foods without the hassle of following complicated recipes. Many meals in Japan are based on broths and soups that are easy for seniors to consume, especially those who are managing oral health conditions or digestive disorders. If your loved one has difficulty swallowing, rice, fish, and steamed vegetables are all soft foods that can be eaten more easily. Not only do many people in Japan live into their 100s, but they also retain the majority of their cognitive abilities. This is perhaps due to the high consumption of fish that contain the healthy omega-3 fatty acids the brain needs to function. Your loved one can include tuna and salmon to his or her diet for a healthy brain boost. seniors can adopt a healthy diet and lifestyle with help from our professional caregivers. Contact us at (401) 284-0979 to schedule a free consultation and learn about how we can help your loved one make the most of the golden years.